I am always starving on a Saturday afternoon. But I don’t have the desire to take on cooking a meal. And I don’t want bread and jam. And I don’t want MacDonald’s or the likes. And I don’t want loads of dishes and cleaning up to do. I want no-fuss. I want something that is quick and easy and light, because we play tennis afterwards, but it still needs to be filling. A protein salad like this one works for me. With a banana in the tennis bag. 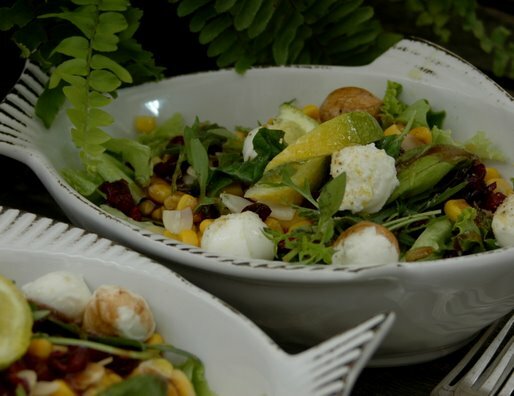 Mixed salad leaves, a huge bowl. A vinaigrette made of: sun dried tomato paste, olive oil, balsamic vinegar, sherry vinegar, lemon juice, salt and pepper, small finely chopped shallot. 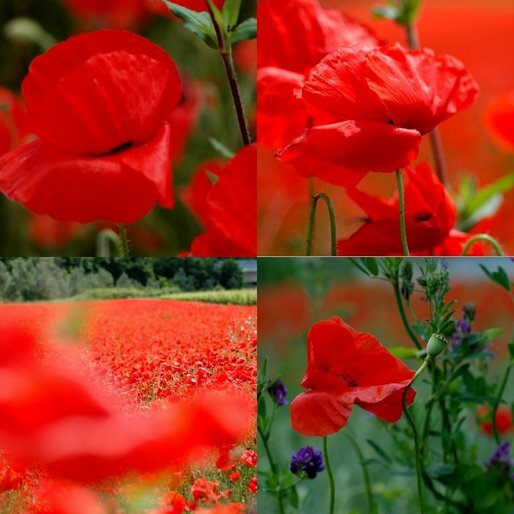 Delicious salade and wonderfum picture of poppies. My family knows that poppies are my absolute favorite flower and every year in September they come into bloom and as that is my birthday month. A big bunch poppies is always a part of my gift. Wow those poppies. I like the montage. 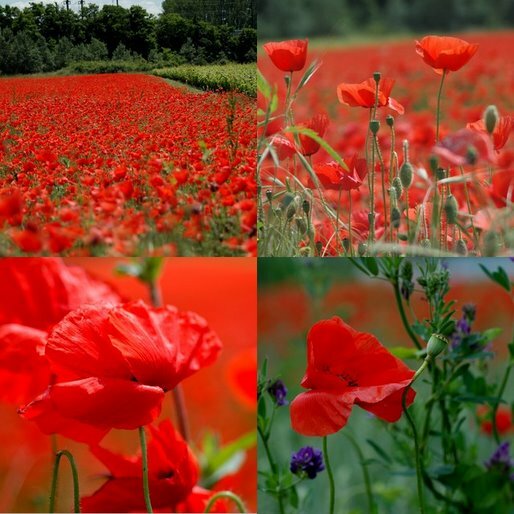 Did you take these fabulous poppy photos, Ronell? GORGEOUS! They are my favorite flower! 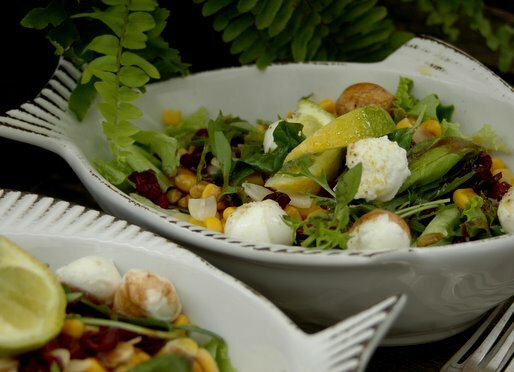 Your salad looks like the perfect weekend lunch… and those poppies! Just beautiful! Yum Ronell, this is my kind of salad. Perfect for summer or anytime really. 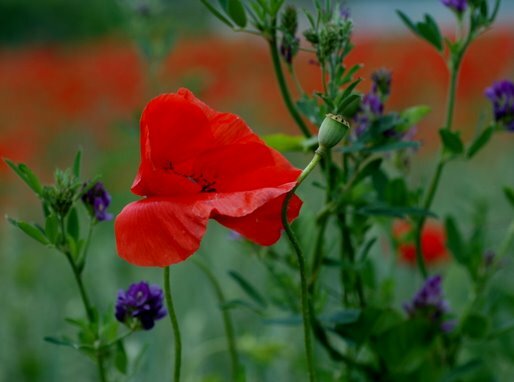 And as for those stunning poppies – oh WOW! We don’t really have fields of poppies around here, but I do have a mini poppy field in my garden. I sowed a ton of seeds about 4 years ago and since then they just seed themselves and come up in droves! The bumblebees LOVE our garden! The salad sounds perfect. I love the use of sun-dried tomato paste in the vinaigrette.